Well, it's hot in Denmark and has been for over a month now, which is very unusual, but I am loving it. Only problem is that I don't feel like being inside and scrapping, so it's a good thing that I have a lot of cards which I haven't blogged about yet. 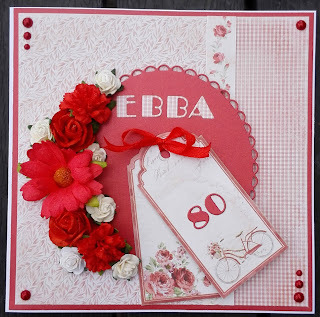 Papers are from Maja Designs "Summertime" collection and red cardstock. 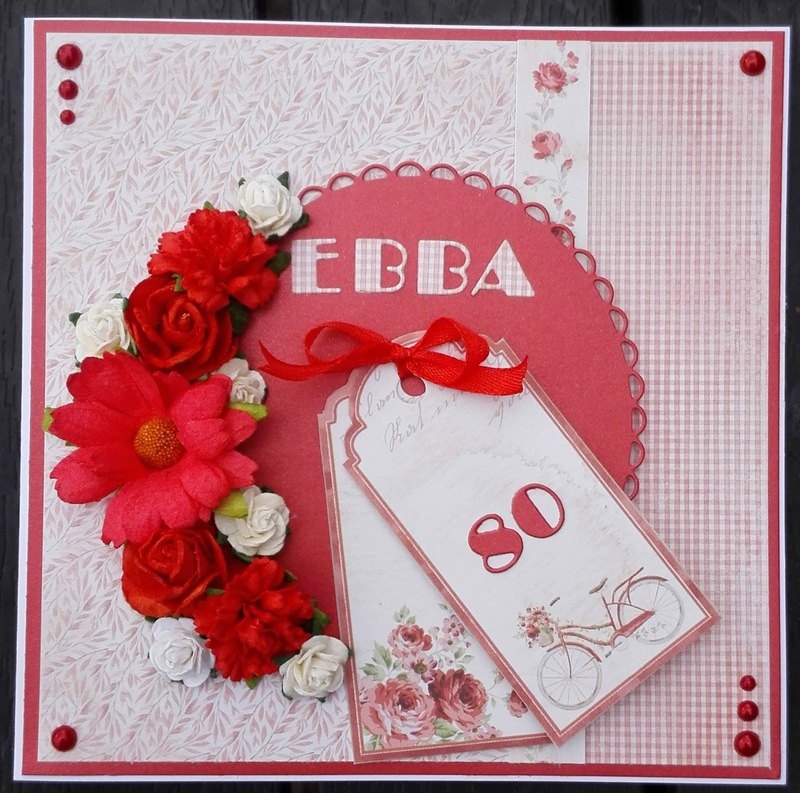 I used dies from Spellbinders "Matting basics 6x6", Dixicraft (letters and numbers) and a die from China. The tags are fussy cut from the same Maja Design collection. All the flowers are from WOC, halfpearls and ribbon are from my stash.